We here at Pingdom clearly belong to the “geek category” of people here on Earth. We love computers and technology, and almost anything related to that. Even when the computers have been broken down and recycled, they can provide gratification, as shown by the pictures you see below. 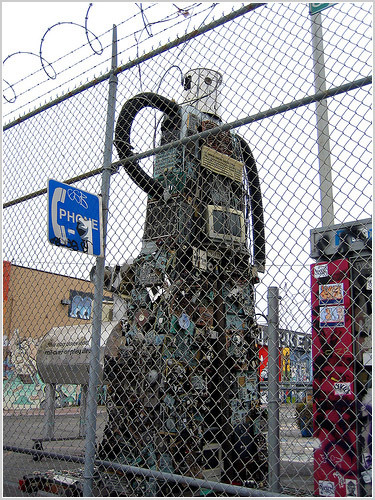 Apparently this behemoth is made almost entirely from spare computer parts. Photo courtesy of Ashley Veselka. 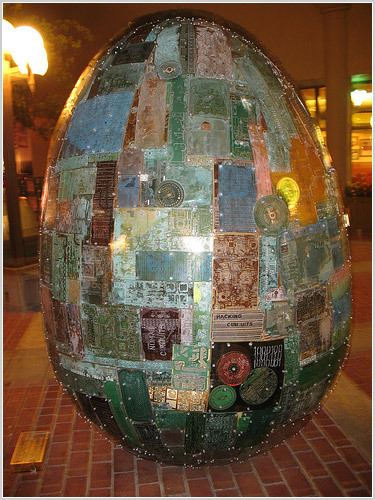 This egg is found near Stanford University in Palo Alto. Literally stuffed with technology. Let us hope there isn’t too much flammable material in there. Photo courtesy of Jessica Tarlecki. 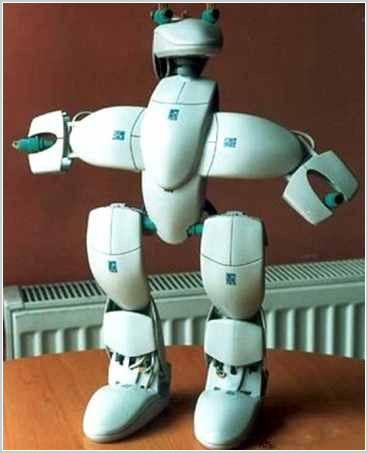 This sculpure from the UK is called the ”Weee Man.” Obviously created before Nintendo made Wii a fun and happy thing. Photo courtesy of Will B. Someone has too much time on their hands. But it IS cool. 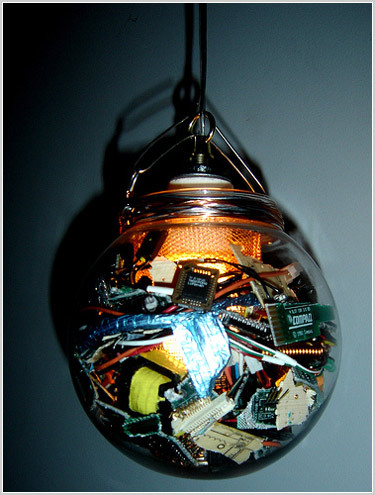 Perfectly adapted for tech art, isn’t it? Forget those oil paintings. The work of sculptor Pierre I. Brunet from Canada. Photo courtesy of C.P. Storm. 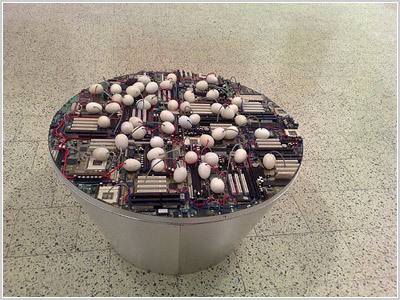 It’s either that (a flower pot) or a table with… eggs…? Eggs and chips? To be honest, we really, really don’t know. Photo courtesy of Nikhil Pahwa. This, quite frankly, is the best fridge magnet ever. Photo courtesy of Debby Arem. 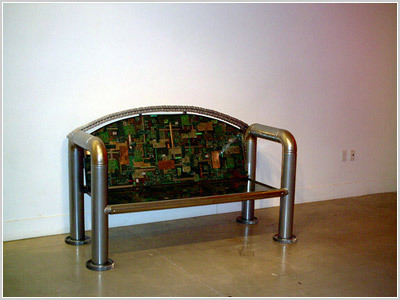 Don’t SIT on the motherboard! Somehow this doesn’t seem like a structurally sound idea. Photo courtesy of Doug Chase. 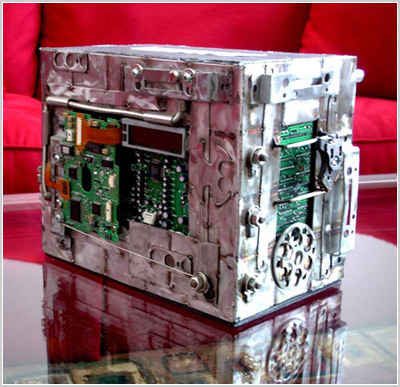 Is that a Borg cube? 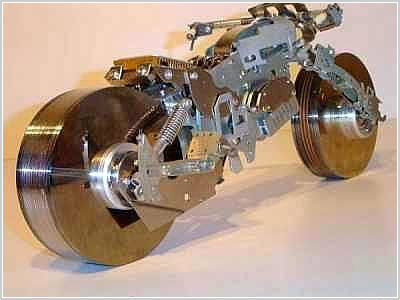 Considering the wheels, this one will at least have more storage capacity than a real Harley. Photo found at Gizmodo UK. After being kicked out of the Transformers, this robot went into deep depression. 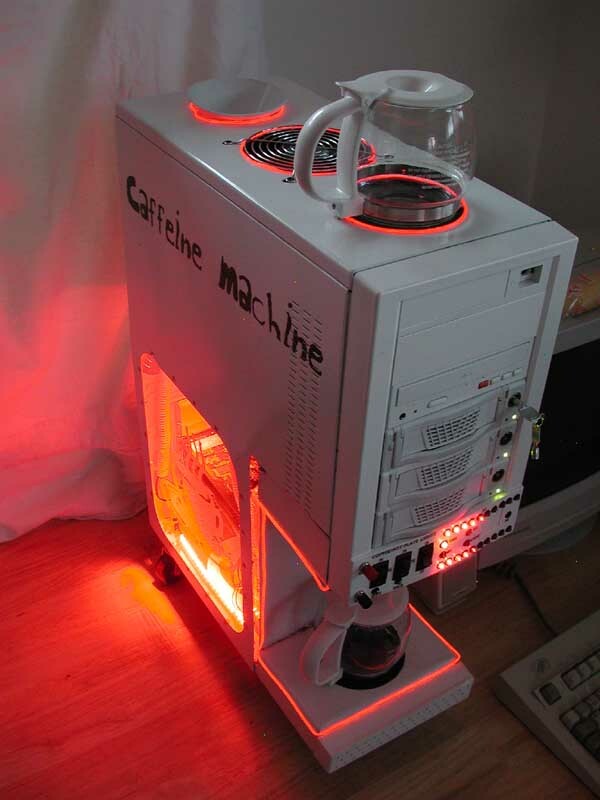 Photo found over at TechEBlog. 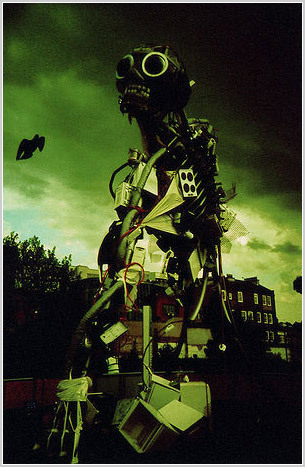 Photo courtesy of Gizmodo UK. 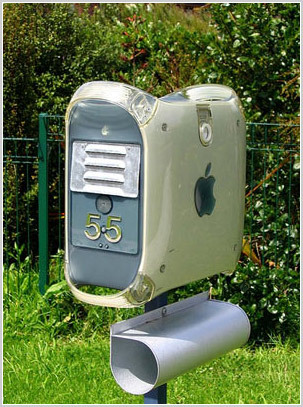 Could this mailbox possibly be standing in front of the home of a Mac addict? 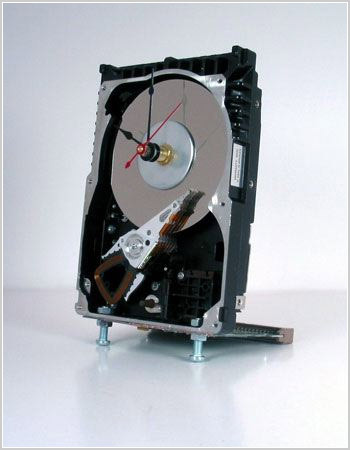 Yep, it’s a hard drive desk clock. Somehow we don’t want to use this mouse at all. Looks like it might be painful. Normally coffee + computer is a bad idea. Photo found over at Virus in Training. 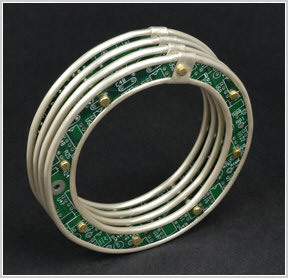 Ok, so it’s a bracelet, not a ring. But it could be cool with a ring like that. Looks like someone’s found themselves quite a niche. 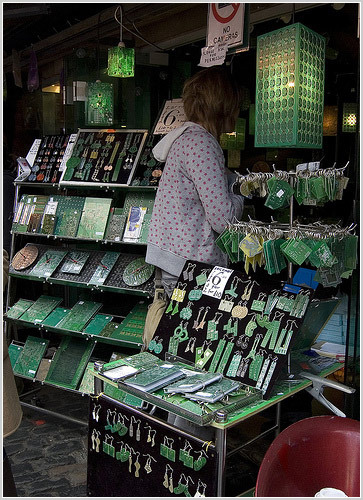 Everything sold here is made from computer parts. Photo courtesy of Lotta Holmström. 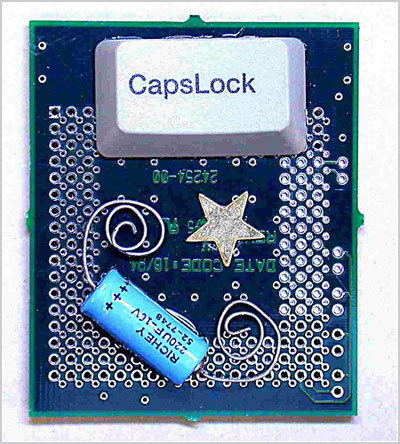 Please feel free to share links to your own favorite “computer part art” in the comments. That’s an awesome collection. 🙂 I LOVE that mailbox! Thanks for posting my work! 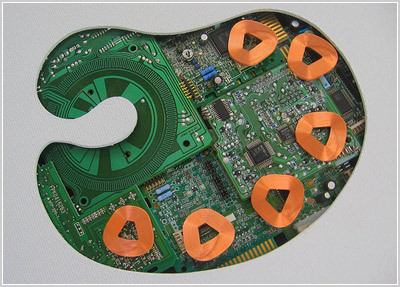 Check out Theo Kameckes functional circuit board art @ http://www.theokamecke.com it is very interesting stuff. the mailbox was mac because nobody wanted to actually use it as a comp…so they made it a mailbox…. 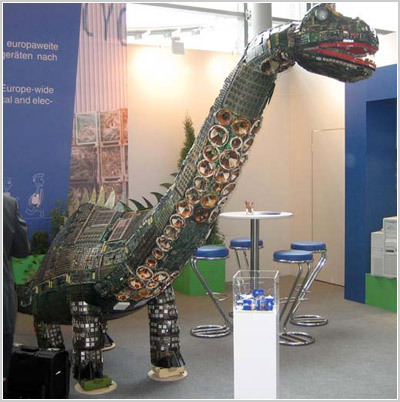 Its nice to see people interested in recycling. 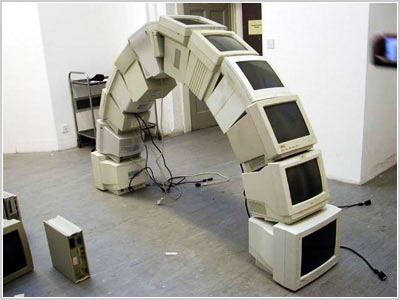 more terrific useful computer art. 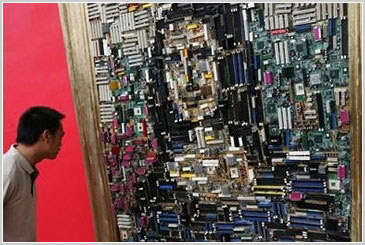 I’ve really enjoyed these pictures of computer parts art! 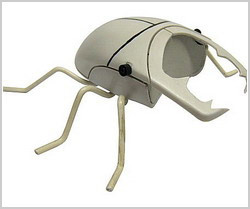 Loved the mouse that looks like a bug, well created.